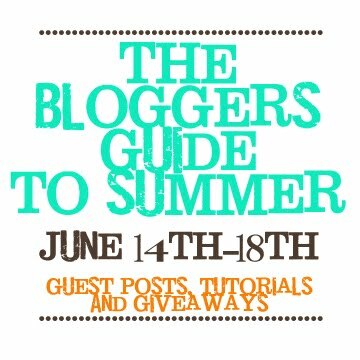 The adorable Heather over at Blessed Little Nest is hosting a fun week of guest posts & giveaways called The Bloggers Guide to Summer. It starts tomorrow & runs through Friday. Watch for lots of fun guest posts & two giveaways per day! Come Tuesday there will be a giveaway for one of our posters! She's also running a giveaway right now to help kick it all off. Head over there to enter to win a cute flag garland & a super awesome vintage tote bag. :) Be quick because today is the last day to enter! you are so sweet to me! thanks for your kind words and for posting about next weeks activities.